Selecting the perfect PC case can often seem like an exercise in futility. While there’s no shortages of options to choose from, finding one that appeals to your taste, accommodates your hardware and physically fits where you want to use it isn’t as easy as it sounds. Worse yet, all of that hard work may go out the window if you move, switch to a watercooling setup or change form factors. 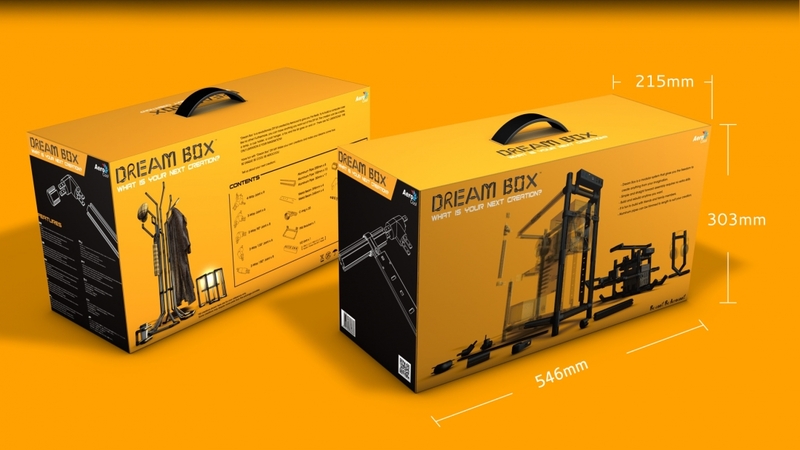 If you’ve ever found yourself in this situation (and you like to build things), the Dream Box from Aerocool may be worth a look. The Dream Box is a DIY case in the truest form. 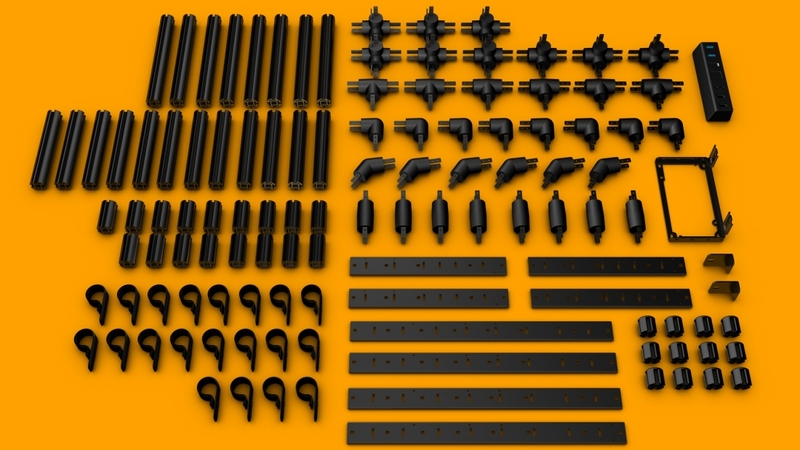 The starter kit comes with 188 components – an assortment of joints, pipes, brackets, metal beams, an I/O port, PSU bracket and more – that allow you to build a chassis that’s limited only by your imagination. In fact, you don’t even have to build a computer case as Aerocool suggests all sorts of things such as coat hangers, toys, a table, lamps and more. Think of it as a grown-up version of an Erector Set. While the kit offers a ton of flexibility, it notably doesn’t include any sort of panels. If you’ve got young kids or curious pets, this could certainly pose a problem. I imagine it wouldn’t be too difficult to carve up some custom panels but of course, that requires extra time, money and effort. The Aerocool Dream Box retails for $150.